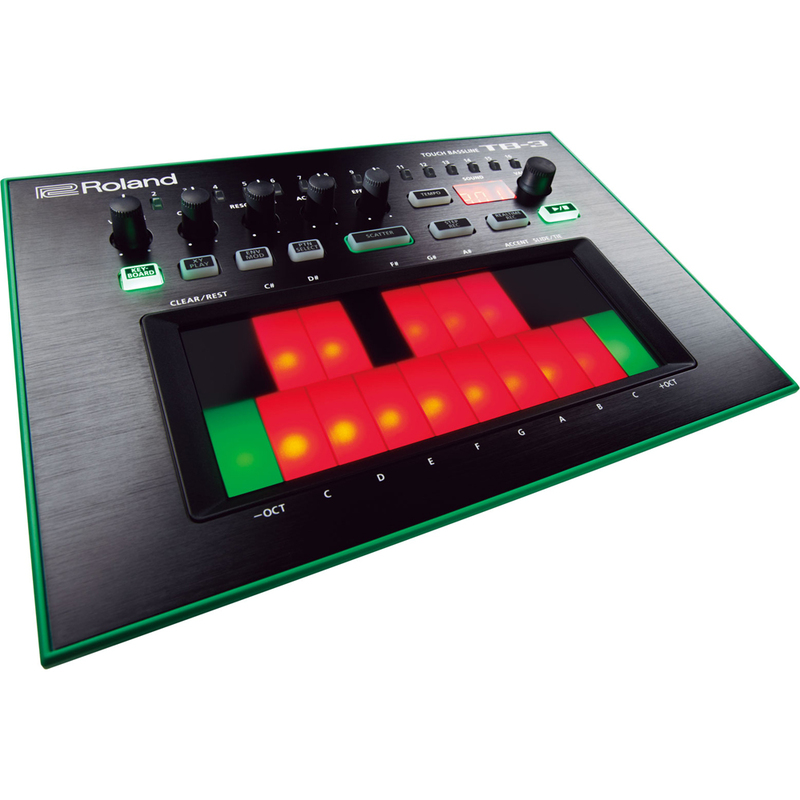 The Roland TB-3 Touch Bassline is a performance-ready bass synthesiser with all the best characteristics of its predecessor, the TB-303. The best sounds and features of the TB-303 have been reproduced in the TB-3, including saw and square oscillator waveforms, attack, slide, tie, and authentic filter behaviour. With its combination of classic TB tones, new authentic sounds, trippy effects, and modern features, the TB-3 is a product The Disc DJ Store loves. 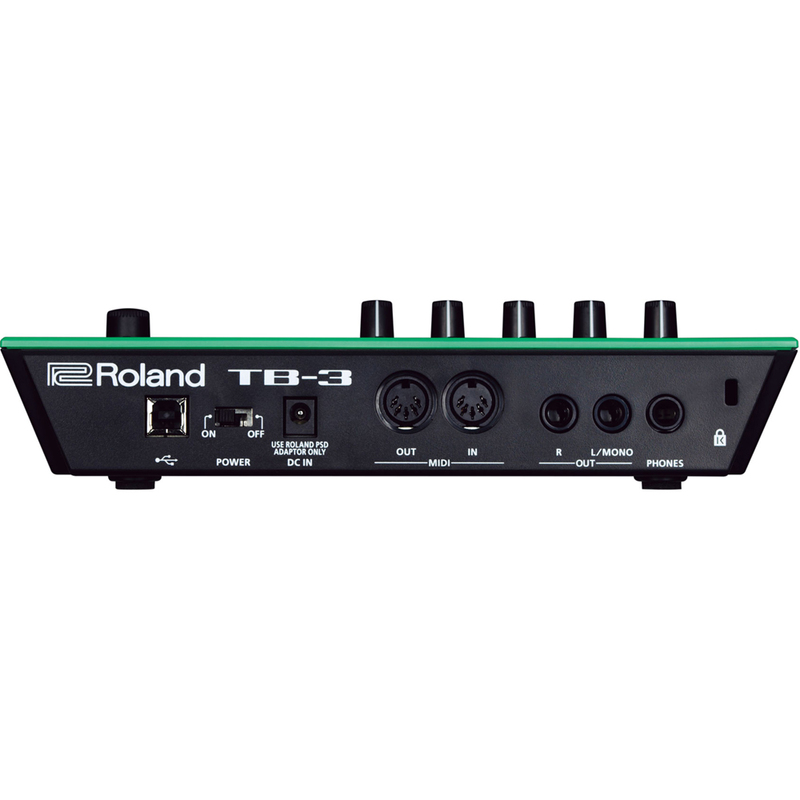 The TB-3’s brightly lit, pressure-sensitive touch pad can be used to tweak filters, control modulation, switch filters, control pitch and volume, and more. There is a dedicated Tempo control with shuffle and Tap Tempo functions, and Cutoff, Resonance, Accent, and Effect knobs for controlling the built-in effects. There are 134 featured sounds, including the original TB-303 tones and new 4-oscillator, effects-processed basses, leads, and sound effects. 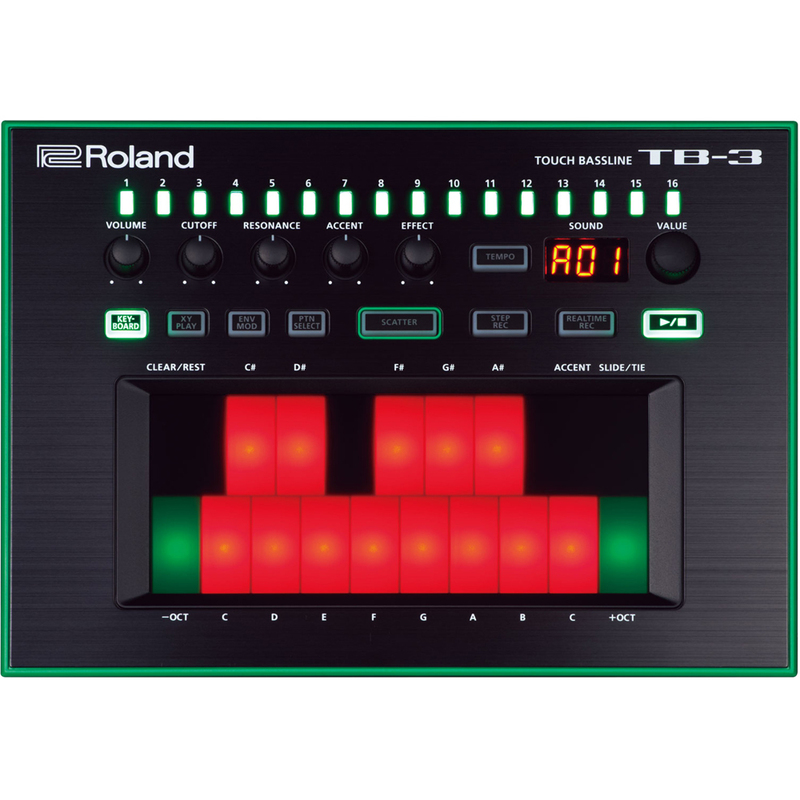 The TB-3 has a 7-segment, 3-character LED display, and a step sequencer that allows seamless switching between pattern creation and performance. There are 16-step indicator lights to aid pattern creation, and pattern support for up to 32 steps. You can enter steps manually or record in real time on the touch pad, as well as change the step count during playback to alter the length of phrases. Scatter function allows you to edit and tweak your sequence in real time using effects such as slicing, reverse, and gating. Random pattern generation, pattern copy and other pattern modifications are also included. 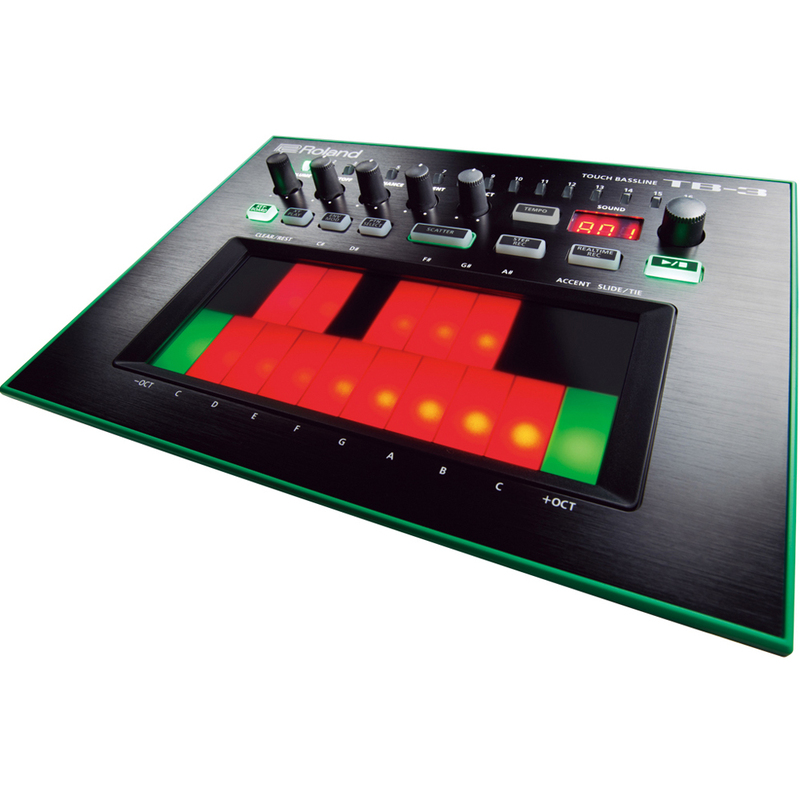 The TB-3 looks great, and is designed to work seamlessly with other products in the AIRA series. You can connect the TB-3 to your computer via USB to send and receive both audio and MIDI data, including MIDI clock information for syncing with external devices and other AIRA units. You can also backup and restore your kit and pattern library via USB.